I tend to switch up my foundation routine in the summer, although I don’t necessary look for a lighter coverage foundation or BB cream, I do look for a foundation that features SPF (just to bump up my sun protection game). 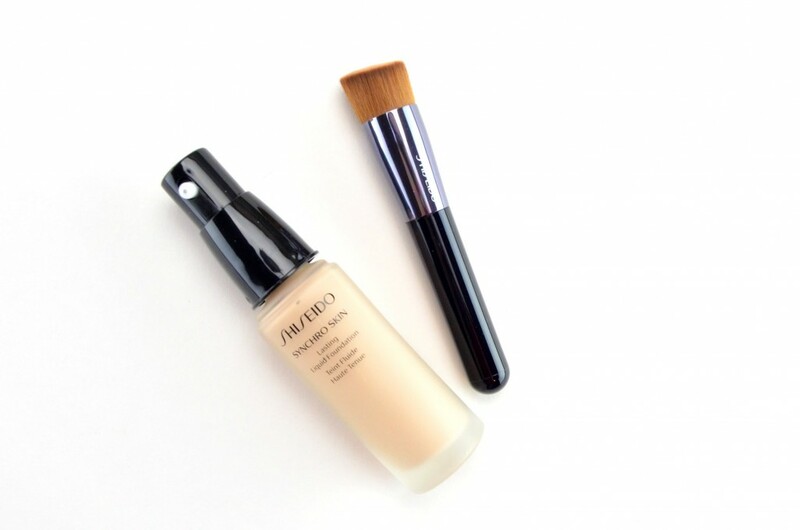 When I heard about the new Shiseido Synchro Skin Lasting Liquid Foundation, I was immediately curious and couldn’t wait to test it out for this fashion blog. It instantly adapts to your unique skin tone, recognizes your skin needs, and is able to harmonise with your skin’s individual qualities to help beautify your skin, instead of just covering it up. Pretty innovated, right? It’s unique technology synchronise with skin tone and condition, while its airy cushion formula and soothing, supporting ingredients make it extremely comfortable and lightweight the entire day. It’s also formulated with SPF 20 broad spectrum protection to help prevent skin roughness and damage caused by oxidation. So you may be asking yourself, how does Shiseido Synchro Skin Lasting Liquid Foundation adapt to your skin’s condition, well let me tell you. Its exclusive advance sensing technology senses what your skin needs, so let’s say your skin is oily or becomes greasy throughout the day, it’s instantly repelled by micro-fit polymers and absorbed by absorbing powders to help prolong the wear time of your foundation. It’s time match powders reflect the optimum amount of light for the amount of sebum you produce, making your skin less greasy while still allowing for your natural dewiness to shine through. If your skin does become shiny throughout the day, the powder will become transparent and create a matte finish without looking cakey or mask-like. This is perfect for hot and muggy summer days. 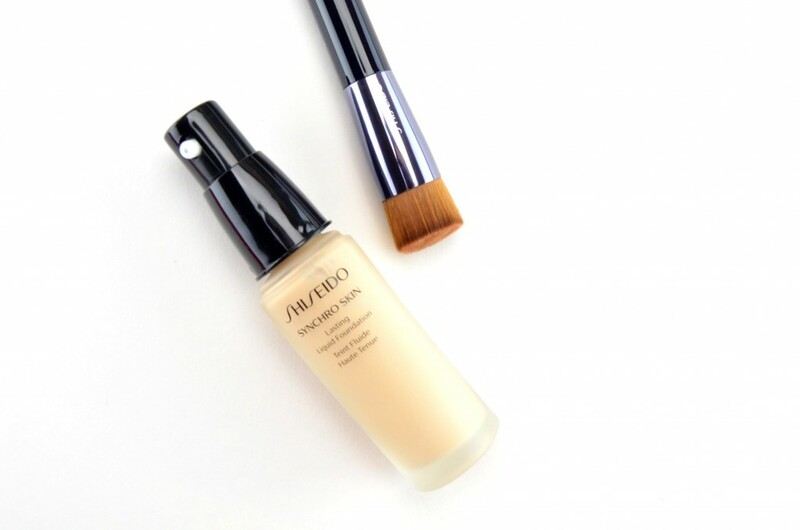 Now let’s talk about how Shiseido Synchro Skin Lasting Liquid Foundation achieves a second-skin like finish to the skin. Its airy cushion formula is extremely light and smooth and forms to almost a thin, veil-like finish on the skin. The more you blend it into the skin, the more rich, creamy and velvety it becomes. 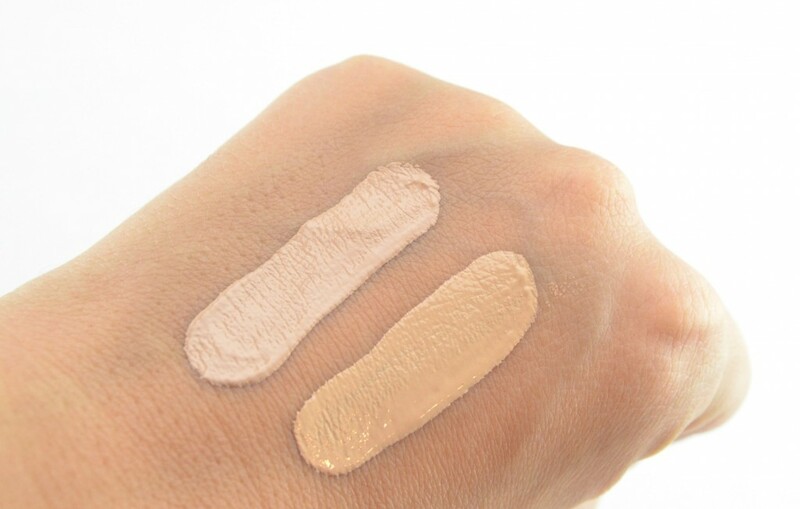 It’s so weightless that you almost forget it’s a liquid foundation and it leaves you thinking you’ve just applied a lightweight powder foundation. 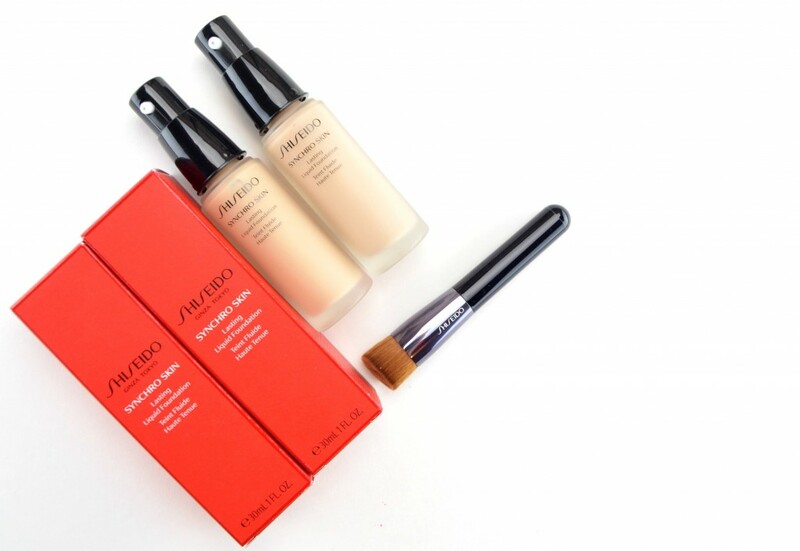 No matter how strong our skincare game is, we all have skin issues like enlarged pores, roughness, diffusing fine lines, but thanks to transparent correcting polymers found in the Shiseido Synchro Skin Lasting Liquid Foundation our natural skin tone can show through while still looking completely flawless. Transparent colour pigments provide true colour without looking dulling and helps to enhance skin tone for a brighter, healthier complexion. 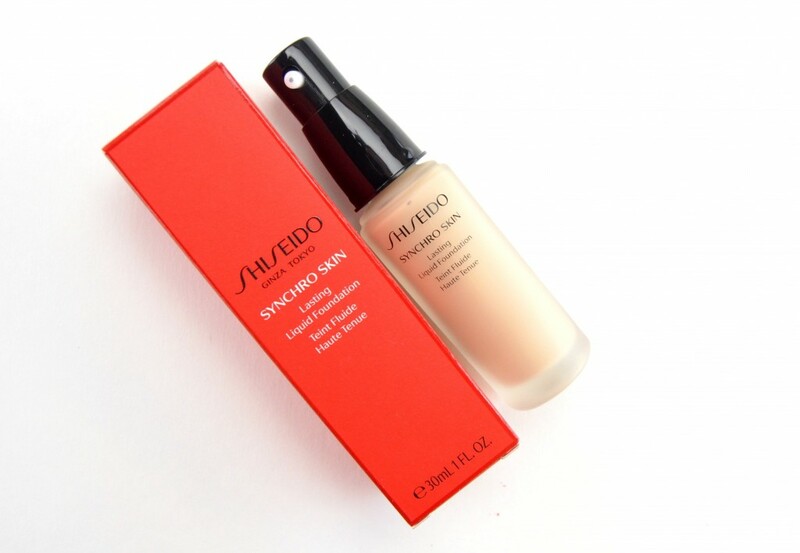 Finally, Shiseido Synchro Skin Lasting Liquid Foundation is so much more than just a foundation, it actually helps to support your skin’s overall health. It features natural ingredients to help promote healthy cell turnover for a clear, smooth and gorgeous surface. It also protects against daily environmental stressors that can leave skin feeling dehydrated and dull, while intensely moisturizing the skin without looking greasy, shiny or oily. 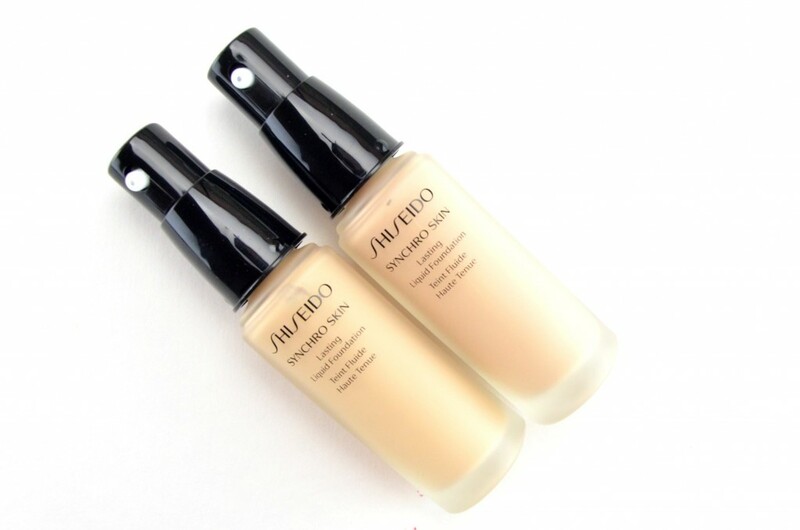 Shiseido Synchro Skin Lasting Liquid Foundation comes in a luxe, pump-style glass bottle with a silky smooth, thin, liquidy, oil-free formula within. Its liquid to powder texture is highly buildable, offering you medium to full coverage that not only enhances your complexion, but provides it with an all-natural, skin-like finish. You’ll need to shake extremely well before each use, this helps to activate the ingredients and allow it to become slightly thicker in consistency. It gives adequate coverage for minor skin imperfections, dark spots and blemishes with a semi-matte finish. It does set and dry fairy quickly, but allows you enough time to go in for a second layer, if you desire. It provides a completely weightless feel and blends out easily. 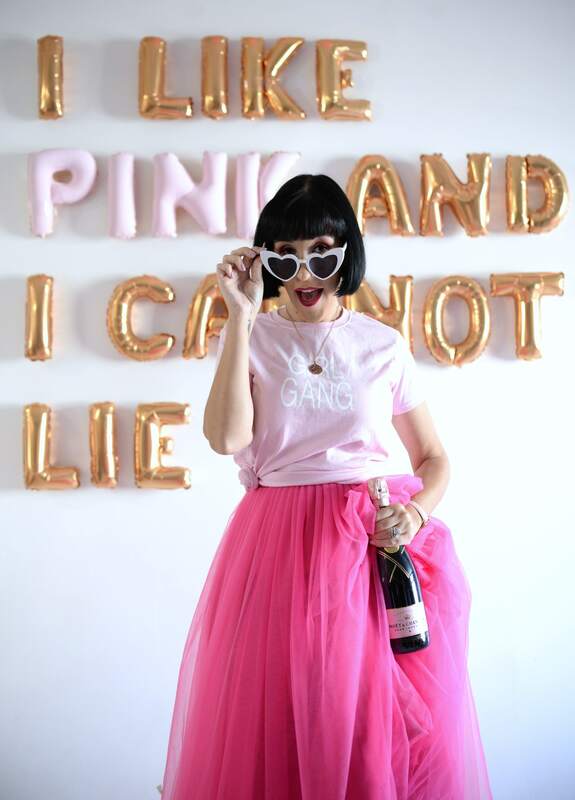 It wears incredibly, is comfortable the entire day and also lasts 10+ hours without fading, oxidizing or creasing. 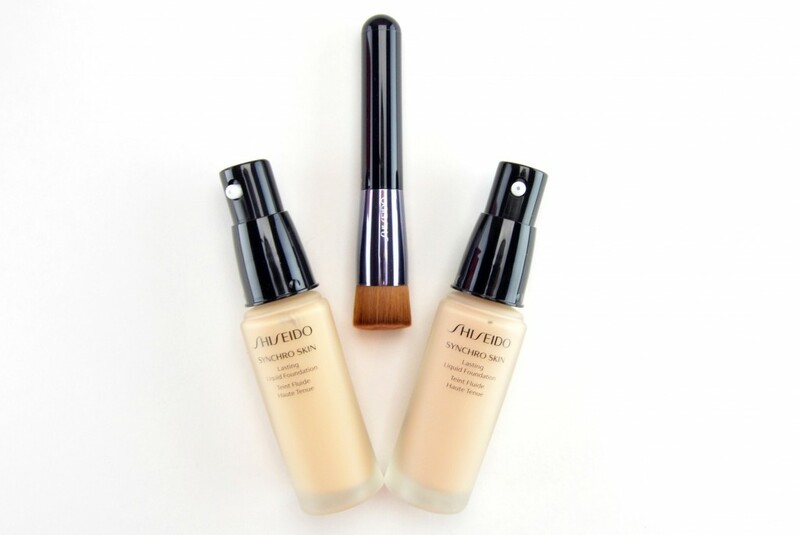 Shiseido Synchro Skin Lasting Liquid Foundation really is the future of foundations thanks to its unique skin adapting formula and custom finish. It instantly provides a flawless, undetectable finish to my skin that’s incredibly lightweight. It helps even out skin tone, minimize shine, while making my skin tone appear brighter, fresher and healthier. Although it doesn’t hide all imperfections, that’s what my concealer is for, it does give a natural radiant glow to the skin that doesn’t look shiny or greasy. For someone who suffers from dry skin, I was a little worried about the matte and full coverage, but I’m happy to report that it didn’t feel heavy or accentuate any of my current dry patches. How often do you struggling finding the shade for your complexion and under tone? 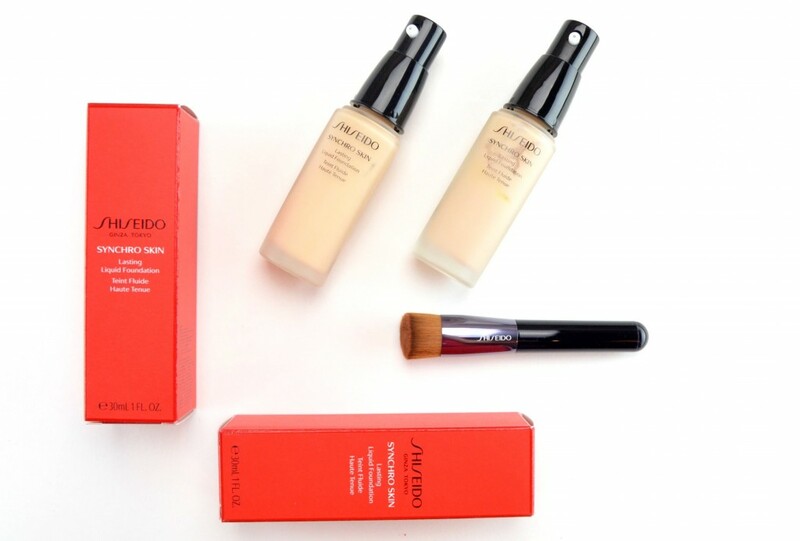 The new Shiseido Synchro Skin Lasting Liquid Foundation has a shade for every colour and comes in 3 different categories and 12 shades and retails for $58 and you can buy it here. Rose 1 to 3 are designed for those with reddish or pink undertones, Neutral 1 to 5 are created for those with reddish to yellow undertones and Golden 1 to 4 are for those with yellow undertone.